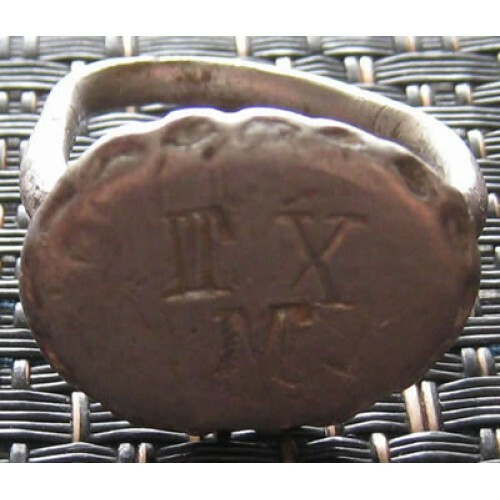 Silver Roman Ring Authentic Ancient with Intaglio III or VI, X and M. Circa 1st to 3rd Century AD. From Eastern Europe. 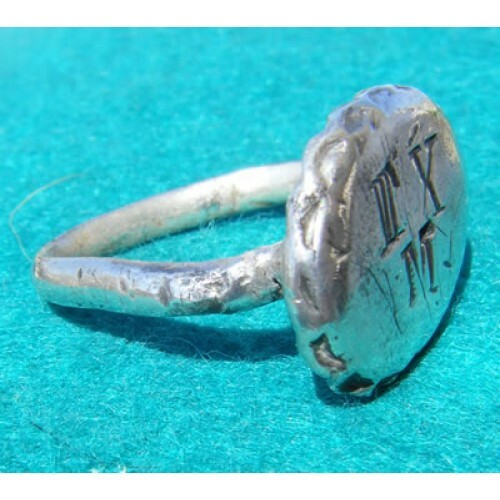 The engraving on the bezel of this ring is very interesting. Obviously intended to be read and 3 separate numbers. The first one is either III (three) or VI (six), the second X (ten) and the third M (thousand). If the X were immediately in front of the M it would be 990. 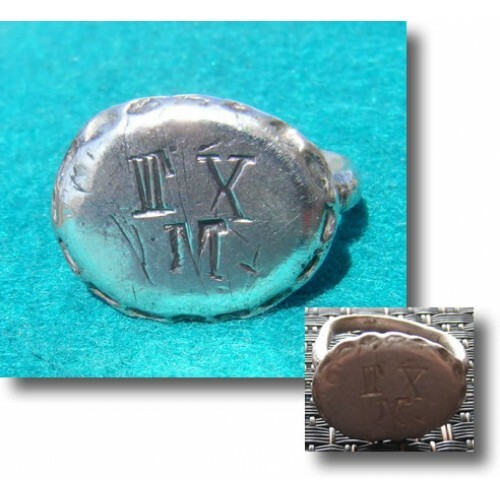 However, because it is not possible to have III or VI before X and because the M is on a separate row, it can be safely assumed that the engraver meant them to be read individually. What could 3 or 6, 10 and 1000 mean? Intriguing. 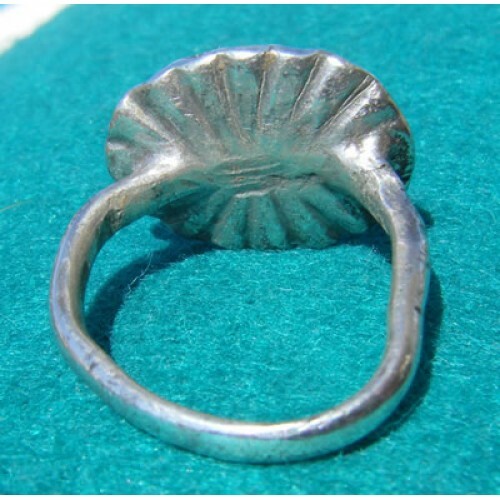 This is a very sturdy solid ring which is perfectly wearable. Professionally cleaned.